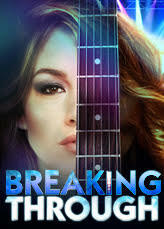 Kacee is excited to be returning to The Pasadena Playhouse in the world premiere of this exciting new musical Breaking Through, starring Alison Luff. Opening date October 27, 2015. Kacee is honored to be joining the cast of the hit show One Night With Janis Joplin at the Zach Theatre in Austin, Texas. Show opens July 18, 2013. Apr, 2009 - Kacee once again joins the cast in Off-Broadway's extreme rock musical, "Love, Janis"
"Clanton is an uncanny medium, never aping Joplin’s immortal intonations of particular phrases but so fluent in her timbre — which is to say her many timbres — as to give the show the feel of an undiscovered concert recording... Her electrifying glissando in 'Summertime' makes you wonder why anyone, ever, would choose to keep different musical notes separate. On raspy high notes, she seems to fray vocal cords to snapping, only to surprise you again and again when she veers to a fluttery coloratura or a sustain with the assured breath support, the perfectly calibrated vibrato of an opera singer." ~ San Francisco Chronicle: "Janis' Rocks ACT to Its Core"	By Lily Janiak. June 15, 2017. “Clanton is a fine actor and…roars through Joplin's hits with a ferocious, gravelly strength that is a truly breathtaking demonstration of vocal prowess and craft. 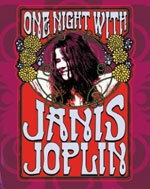 ~ Broadway World: "A Night With Janis Joplin Rocks the Geary Theatre" by Robert Sokol. June 26, 2017. "Clanton's portrayal of Joplin works an uncanny magic. She looks the part, with flowing, frizzy brown hair that she flips nonchalantly... Then there's the voice. It's absolute Joplin in all her throaty, bluesy, yearning, no-holds-barred glory. She has the voice of a lioness—confident alpha, a purr one minute, a husky roar the next. Add uninhibited body language, hectic energy, spot-on slang, and a passion for all things music, and we fall in love with Clanton's Joplin, and deeper in love with Janis." ~ Theatrius: "Kacee Clanton Channels Folk Rock Icon With Conviction and Command" by Rosa del Duca. June 17, 2017. "The formidable Kacee Clanton... claims more than one piece of your heart... As ever, Clanton echoes the scratchy vocals that are the signature of the '60s diva. A wild child making love to the mircrophone…she can sing like a bat out of hell and she re-creates Joplin’s raspy pipes with uncanny authenticity." 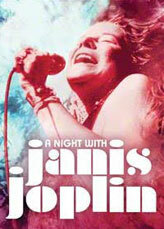 The Mercury News: "Spend an Electrifying Night With Janis" by Karen D'Souza. June 15, 2017. BayAreaPlays.com. By David John Chavez. Content Magazine. By Lam Nguyen. Theatre Notes. By Paul Myrvold. "Tears rolled down my cheeks when Kacee Clanton poured her heart into "Summertime" as the title character in "One Night With Janis Joplin" at San Jose Repertory Theatre. Her phrasings were perfect - the soulful wail; the urgent, staccato "no-no-no-no-no"; the notes torn from a raw, visceral core - all within an artful reproduction of Joplin's unique delivery." ~ San Francisco Chronicle. By Robert Hurwitt. San Jose Mercury News. By Karen D'Souza. "Clanton has mastered the singer's salty and sweet demeanor, not to mention that epochal wail. 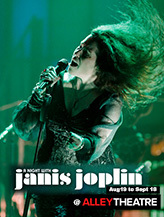 And with more than 20 musical numbers in the show, including all of the greatest hits, Clanton oozes Janis' loneliness, pain, and passion over and over again..."
"When she speaks, she's ballsy, honest, witty, and incredibly smart, with a touch of vulnerability and a tiny bit of self-doubt thrown in. When she sings, she's able to capture the Janis grit and rawness. When Clanton really lets loose with some Janis-esque ad libs...you forget for a moment that the person you're watching is an actress playing the Queen of Rock..."
Album: "Mama Came to Sing"
This is the latest from... song stress phenom Kacee. I first met Kacee fronting for Big Brother and the Holding Co. (doin' Janis' legacy proud!). Next she toured with Joe Cocker. Now, spreading her wings you will find this CD full of great original rockers and soulful ballads that showcase Kacee's incredible talent...I expect nothing but a great future from my friend. What talent!!! - - Blue Monday Monthly. Minneapolis, MN. April 2006.
Review from Hawaiian Chopper magazine says "... Since I first listened to this record, I haven't been able to get it out of my head! This is a must have for any rock & roller..."
"Look out! This mamma is packing heat..."
"...Clanton literally brought the crowd to our feet with her exacting portrayal of Janis' music and fervent performance style." "Kacee Clanton is of a feather with Joplin in Love, Janis." "...Clanton belted out Joplin's tunes with integrity and rasp." "Joplin's mannerisms and her mix of sweetness and vulgarity were captured to near perfection...by Kacee..."
"Listening to you sing...you obviously have the vocal qualities down, but there's something else that you have down: Janis Joplin's voice was about emotion and feeling life, and you've got that down too.... I'll tell you what, girl, you can certainly sing. And Jon [Nichols], you can certainly play!" "The 'Janis Joplin' rendition of 'God Bless America,' took the crowd...who attended the Excellence in Journalism Awards...by surprise, as Kacee..., who starred in...'Love, Janis,' at the San Diego Repertory Theater, delivered American patriotism with rare 'Janis' passion and style." -- Sam Andrew, Big Brother & the Holding Company. BBHC Forum. March 2010. -- Andre Wetjen. eVent. Wednesday, July 23, 2008. "...The crowd stood on its feet as Clanton sang the emotional 'Ball and Chain,' perfectly emulating the rough vocals of Joplin....Kacee was great....She is the closest thing to Janis." -- Som Khamsaysoury. The Porterville Recorder. January 21, 2003. "Kacee, who played in the Los Angeles production of the musical Love, Janis, did a superb job on the Joplin vocal showcases such as 'Summertime,' 'Piece Of My Heart' & 'Ball And Chain.' She has the rare ability to evoke & pay homage to Janis Joplin without imitating her." "...cheering and calls for more...Kacee still wanted another go... and what could make the night even more fantastic than a ride in a 'Mercedes Benz'...drive on, Kacee..."
- - Concertverslag: Big Brother & Holding Company feat,17 maart 2003, Banana Peel, Ruislede - België, Auteur: Patrick Lagae. Translated by Bruce Becker.